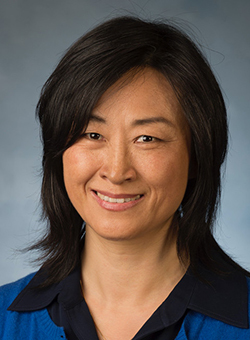 Biography: Dr. Lisa Wang is a professor in Civil Engineering Department at California State Polytechnic University, Pomona (Cal Poly Pomona). She is currently the Associate Department Chair of the Civil Engineering Department and in charge of the department’s graduate program. She received her Ph.D. in Structural Earthquake Engineering from the University of California, Irvine. Her M.S. was in Geotechnical Engineering and B.S. degree in Civil and Architectural Engineering from China. Prior to joining Cal Poly Pomona, she was with an engineering consulting firm as a structural engineer. She currently serves on the ASCE/SEI technical committee: Emerging Analysis Methods in Earthquake Engineering. Dr. Wang’s professional interests are mainly in structural and earthquake engineering, liquid-structure interaction on liquid storage structures, and design of buildings and bridges for earthquake loading. Abstract: Unlike symmetrical buildings, the stiffness of asymmetric-plan structures varies by direction and the location of the center of mass varies by story. As such, the eccentric building’s critical direction of loading must be determined by comparing the force-deformation curves that were generated by applying lateral load in different directions. Due to the complexity of the mathematical model of the asymmetric-plan structure, 3-D pushover seismic analyses were performed using SAP2000 program. Both the gravity loads and lateral loads were applied to the structural models. Structural members experienced elastic and plastic deformations, and force-deformation curves were generated at the end of the analysis. Effects of different beam-to-brace connection types were also studied. Biography: Dr. Chuanbing Sun has more than 15 years of experience in research, teaching, and professional practice in structural engineering. 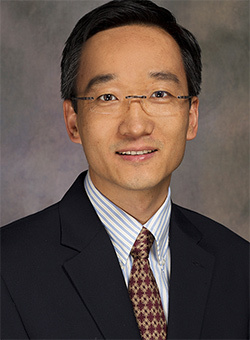 He received his Ph.D. degree from the University of Nebraska – Lincoln in the United States in 2004. His research interests include the behavior and design of prestressed concrete structures, innovative bridge systems, evaluation of existing concrete structures, and instrumentation and monitoring of structures. Prior to joining Louisiana Tech University, he has served the industry for 13 years with various roles, including project engineer, project manager, and senior vice president. He has performed design, construction engineering, inspection, and rehabilitation of numerous types of structures, including buildings, bridges, tunnels, and culverts, and has been involved in many award-winning projects related to the use of high performance concrete and steel. He has accumulated substantial experience in project management, including several multi-million infrastructure projects. Abstract: Advances in concrete materials technology have led to the development of a new generation of cementitious materials referred to as ultra-high performance concrete (UHPC). UHPC’s mechanical properties include compressive strength greater than 21.7 ksi and pre- and post-cracking tensile strength greater than 0.72 ksi. UHPC formulations often consist of a combination of portland cement, fine sand, silica fume, high-range water-reducing admixture, fibers (usually steel), and water. UHPC’s dense microstructure decreases its porosity and permeability. As a result, the use of UHPC allows for enhanced structural capability, durability, and sustainability. Currently many researchers are investigating the implementation of UHPC in bridges, including joints, girders, deck panels, piles, etc. This presentation addresses the advantages and challenges of using UHPC in the United States. College of Environment and Energy Engineering, Beijing University of Technology, Beijing, China. Biography: Dr. Zhang Li obtained her doctor degree in Kumamoto University, Japan in 2011. Since 2015, she had been an associate professor in Chinese Research Academy of Environmental Sciences. In 2017, she transferred to Beijing University of Technology and became a professor and a master supervisor. In recent 5 years, based on the National major scientific research plans such as "Major Science and Technology Program for Water Pollution Control and Treatment, National Key Technology Support Program, National Natural Science Funds" and so on, composed of 3 research assistants and 10 graduate students, her research team focused on investigating high-rate nitrogen removal by Anaerobic ammonia oxidation (Anammox) process. They utilized combined techniques (spectroscopy, mass spectrometry, molecular biology and so on) to elucidate the distribution characteristics of microbial communities under different environmental conditions, and reveal their role in the process of nitrogen migration and transformation. 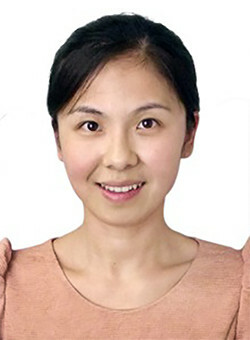 She was awarded Second prize of Environmental Protection Technology Award (ranked eighth) in 2015; First prize of the excellent paper in academic annual meeting of Chinese Society For Environmental Sciences in 2015; "Outstanding young scholar" certificate issued by Japanese Society of Biology in 2012; Second prize of Environmental Protection Technology Award (ranked fifth) in 2018. She published nearly 50 research papers, among which nearly 40 papers belong to SCI. 8 item patent was authorized. And also 5 monographs were published. She also works as a peer reviewer of some journals, including Journal of Bioscience and Bioengineering，Bioresource Technology，Estuarine, Coastal and Shelf Science，Ecological Engineering, Science of the Total Environment and so on. Abstract: Coal liquefaction wastewater (CLW) contains numerous toxic and biorefractory organics. Series of advanced treatment processes were designed to remove the dissolved organic matter (DOM) from CLW. Here, the reactivity and fate of DOM in the treatment train was studied in relation to its chemical composition by Fourier transform ion cyclotron resonance mass spectrometry (FT-ICR-MS) analysis. Within an isobaric group, the raw CLW possessed high DBEwa and low H/Cwa values with N- and S-containing formulas accounting for about 77%, which generally belonged to lignin (73.6%) and condensed aromatic structural (19.8%) classes. Additionally, the flotation process removed some hydrophobic DOM compounds with highly unsaturated states, which were biorefractory. Ozonation and catalytic oxidation processes preferentially removed highly unsaturated compounds and produced more oxidized molecules. The biofiltration process impacted the organics composition through consuming oxygen-rich substances, whereas the anoxic/oxic (A/O) process converted reactive compounds into newly formed ones through losses of hydrogen (unsaturation) from the original compounds. The membrane bioreactor (MBR) process seemed to be more efficient at removing N-containing compounds with higher unsaturated states. The formulas resistant towards the applied CLW treatment processes were characterized by lower molecular weights (~250–350 Da), higher oxidized states (O/S >6), numerous carboxylic groups, and non-biodegradable features.